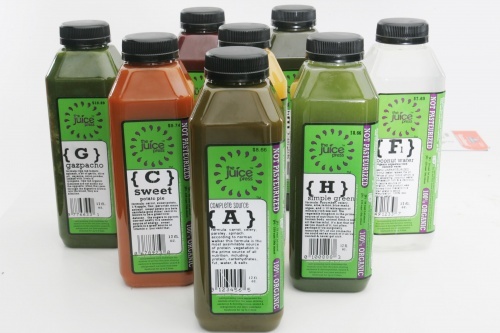 Juice Press believes its newest product line will exceed the expectations of even the city’s biggest juice snobs. The chain is pitching ProViotic, a vegan-based probiotic product line derived from bacterial strains that are said to be pristine. The bacteria is found in the European snowdrop flower grown in the mountains of Bulgaria and cultivated in fresh green juice. Michael Karsch, founder of hedge fund Karsch Capital Management and the lead investor in Juice Press, tells Side Dish he learned about it from a Bulgarian business associate. The probiotic comes in capsule form — two a day are recommended — and also in two juices. “The whole thought behind it is that your body needs good bacteria to fight the bad bacteria to help your immune system,” Karsch said. Brooklyn restaurateurs take note: A popular bar space in Greenpoint is up for grabs in August. The 2,000 square-foot space, which is being vacated by Coco 66, is asking $10,000 a month. There are about 30 bar spots, table seating and a performing space. David Gaidowski, at Miron Properties, has the listing.